A man was robbed by three strangers as he walked along a street. 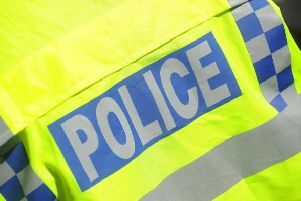 The man was walking along Altendiez Way, Burton Latimer, between 6.45pm and 7.15pm on Saturday, September 5, when he saw a group of three men sitting on the grass next to the footpath. One of the men asked him for money then another grabbed him by the coat and took £50 from his pocket. He was then punched in the head by one of the men and fell to the ground. All three of the men were white and aged about 25. The first was about 5ft 8in, slim with short brown hair which had blond streaks in it. He was riding a bright blue Haro BMX bike. The second man was also about 5ft 8in, slim and wearing a grey T-shirt which had a stripe down the side of one of the sleeves. The third man was larger than the other two and had blond hair which may have been dyed.